Your first month’s management fee is absolutely FREE! 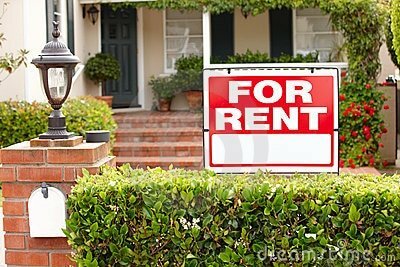 Take the first step in preparing your rental property for professional property management with WJD’s exclusive rental market analysis. Sign up here, and we’ll email you a free custom assessment of the current rental value of your home performed by WJD’s Principal Broker, David Norod and WJD’s Associate Broker, Michelle Williams. David and Michelle, both licensed Realtors and Brokers, have between them over 50 years of experience in the Northern Virginia real estate market. And no one knows more about Northern Virginia than WJD! 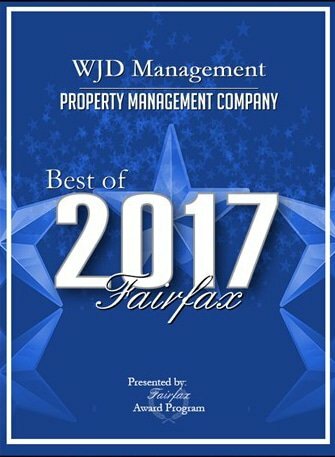 We have approximately 400 residences in our inventory and service the entire area from our offices in the Old Town section of Fairfax, VA. There’s no obligation, and we won't share your private information with third parties, but we certainly hope you’ll choose WJD Management when you’re considering professional property management services. If you'd like to learn more about us, browse the links in the sidebar and see how WJD Management can make a difference for you. If so, when will you move out? If so, when does the current lease expire? By submitting this form, you agree to receive occasional updates regarding WJD’s services, as well as best practices for renting out and maintaining your home. We do our best to provide valuable information to help homeowners maximize their investment — but of course you may opt out of these updates at any time. The personal information collected will be used only to determine your home’s rental market value and to contact you. WJD does not transfer or sell personal information to third-party vendors. I have had an excellent experience with WJD. Payment service is so easy. The staff is super helpful and responsive. Whenever I needed help from maintenance they were always super fast and friendly. I have been using WJD as my management company in Fairfax for 12 years. I have properties in other areas where WJD is not present and WJD is by far the easiest to work with. The automated updates and the personal service when you need it make them a joy to work with and I highly recommend them. We rented a property from WJD for over 3 years, and for the most part, I had no huge complaints- until the end. They have an online system for maintenance requests which is simple to use. We had to use it several times over the course of our time there. They were generally quick to respond and I had no issues with the people they sent out. The move out process is my only big complaint. We wound up paying way more then we’ve had in the past with other companies due to having to use their “approved” vendors (to be clear, this is stated in the lease). My main big issue came when after we paid to have our place cleaned for inspection- and were told we passed inspection- the homeowners moved back in a few weeks later and then they seemingly let them do their own inspection. The homeowners then tried to charge us for pre-existing conditions and when we got the “bill” deducted from our security deposit and we asked for an explanation, they initially refused to give one. Long story short, in the end, the owner, David had to step in. He was apologetic, and worked with us to “make it right.” What I felt like should have been a fairly simple process ended up being a confusing mess with a lot of frustration on our end. Overall, after my interaction with him I’m hopeful that some positive changes will be made on their end. Our 3 plus years with them wasn’t horrible, but I do think it should be known that they made our move out process tougher than it needed to be. Wjd is very efficient and helpful to the renters. If we have a problems in the house and about all are questions they can easily be contacted. They been assisting since day one that we apply for it and I must say that they do a great job. I’m very satisfied in the services that they provided. WJD is good to work with, always responsive and responsible. Their service contractors are very responsive but expensive. WJD notifies us if work is needed and allows us to hire our own providers. Staff members are always friendly and helpful. This has been my first experience with a property management company. They are exceptional. They are nothing but friendly, helpful and accommodating. They respond quickly to emails and phone calls, and have made even my little questions seem important. I would highly recommend them. DO NOT RENT FROM THEM. Absolutely terrible company. The online maintenance requests are about the only benefit, and trust me you will use it with the condition of the properties. It is absolutely impossible to speak with an employee about an issue and they are extremely unresponsive to emails. Be sure to report EVERY SINGLE thing you find to be an issue and even with that, don't expect to get a fair amount of your security deposit back. I was charged nearly $800 for water damage in the basement ceiling that they attributed to "not closing the shower door properly" (an open and close glass door) that is two stories up on the complete opposite side of the house from the damage. This was an issue that was never present until the last month of a two year occupancy and a maintenance request was submitted. All I asked was for someone to speak with me to discuss the charges and they could not even do that. I got an email with the same information initially provided with my "damage report" and no further assistance. 100% Would NOT recommend renting a property managed by this company. Unprofessional and very unresponsive. 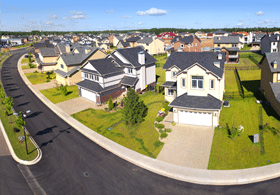 Over the years we have dealt with many home management companies. I Have to say WJD has been the BEST. They care not only about their homes but they care about their renters too. Their employees always made us feel important. When anything needed maintenance GEORGE was the greatest, always on top of things and as pleasant as they come. After renting about 7 years with WJD i felt they were family. Gina in the office was so professional and quick to solve any issues. I was sad we had to move. You will ALL be missed. WJD has managed our property for over 16 years. During that time, they have found qualified tenants, collected fees and rents, inspected the property, and kept the property continuously occupied during those many years. Communication has been excellent. They have advised us regarding rent and maintenance issues, and I have recommended them to others over the years and will continue to do so. I am happy with the service WJD has provided. Problems with the house are generally take care of on time. The rent checks come in on time. More important WJD has worked with us when it looked like the house may be vacant for 6 months. I appreciate their help.